Tracked Keywords: What Are They And How Can I Use Them To Grow My Business? Keywords remain an important part of your SEO strategy, and there are some effective tactics you can use to rank for relevant words and phrases – despite changes to Google’s algorithm, which make it difficult, or impossible, to rank for keywords using black-hat strategies like keyword stuffing. Ranking for keywords is achieved through a combination of SEO, PPC and content marketing strategies. Long-tail keywords, short-tail keywords, broad match keywords and negative keywords are some of a few types you can hope to rank for – and tracking these keywords can help you to boost your position in SERPs, grow leads, save money on your PPC campaign and provide user insights, among other benefits. How do you track keywords? There are several key areas in which you should be tracking keywords. Ranking: Tracking keyword ranking can help you to see which keywords are driving the most traffic so that you can create a more targeted SEO strategy. Competitor ranking: Understanding which keywords your competitors are ranking for will help you to create an SEO strategy and will help you to compete for those same keywords or tap into relevant alternatives. This can also help beginners looking to get their SEO strategy started by learning about competitor ranking. Keyword by location: Tracking your keyword ranking by location can help you to determine which geographic locations are most frequently searching for keywords related to your business. This could be especially useful for brick and mortar businesses who are hoping to rank for “near me” searches. 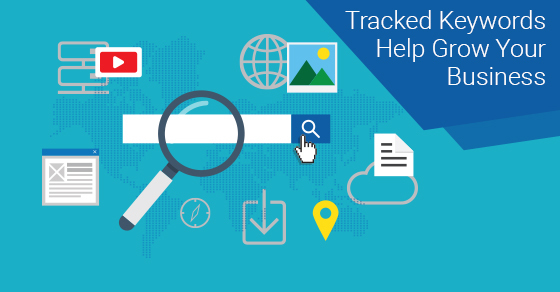 Data tracking and analysis can help you to track keywords and address gaps in your online marketing strategy. What are the benefits of tracking keywords for my business? Keyword tracking and analysis can help you to determine what your target customer is searching for online, which will help you to more effectively target your content and SEO tactics – ultimately growing your number of leads and conversions. As well, you’ll be able to rank more highly and drive traffic to your website and landing pages. The key to making your keyword strategy successful is to target the right customers who will buy your products or services – not just any customers. Lastly, tracking and analysing keywords can help you to create a sustainable budget around your PPC campaign by not bidding on keywords that aren’t resulting in a positive ROI. Keyword tracking and analysis can help you to drive website traffic and boost conversions – helping you to grow your business. Keep the above information in mind when tracking keywords for your digital marketing strategy.